I am standing in a high school English classroom. It is 1980. I am no doubt wearing a Fair Isle sweater and a denim skirt and my hair is pulled back by tortoise shell combs. Our assignment was to memorize and deliver two Shakespearean sonnets – in my case: “Let me not to the marriage of true minds” and “Shall I compare thee to a summer’s day.” I stumble through, gently, and hopefully without anyone noticing, tapping my wooden clogs to beat out the iambs– the lub/dub or unstressed/stressed pairing so like — some have said — our most essential rhythm, our heartbeat. In my head, I am counting the ten syllables I need in each line, probably the very crutch Shakespeare’s actors used to speak their lines after a night spent with too many pints in the local pub. Other less, shall we say, conscientious students needed more propping up to get through. Perhaps their previous evening had included activities more contemporary than me sitting at my Ethan Allen white painted desk struggling to put two lines together and then another half line, until I had gotten all fourteen– the Elizabethan sonnet as a square, rhyme scheme ABAB, CDCD, EFEF, GG. Antiquated, huh? This notion of rote memorization and declamation. Who needs to have poems memorized and ready for the moment you are called upon to make a toast or speak in memory of someone, or you struggle to find language to provide comfort to yourself or another when you cannot find the words yourself, or to express your depth of feeling in a sparkling April or melancholy October day? Surely there’s an app for that. Of course, we speak Shakespeare all the time. 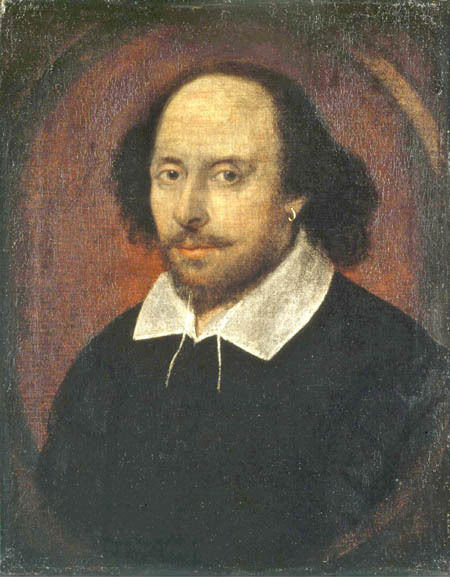 Probably you’ve seen the poster about “quoting Shakespeare”: If you speak of the “green-eyed monster” or suggest “neither a borrower nor a lender be” and “to thine own self be true” and refuse “to budge an inch” “stood on ceremony,” “danced attendance” “had short shrift,” “cold comfort” or “too much of a good thing,” you have already memorized some Shakespeare. What would it take to learn fourteen lines? My son, looking for his buddy said “Where is Hannah?” and I responded “Who is Sylvia, fairest of the fair?” I hope to aggravate him similarly throughout his life. I have on more than one occasion suggested to a friend or sibling that they should “Sell when you can, -you are not for all markets” or wondered out loud “How will this fadge?”Am I merely pedantic? Is this a snobbish tic? Probably. A poem in your pocket is good for the day. A poem in your mind is what remains. President Obama has called for an initiative to map the human brain. I hope they find a few dozen lines of iambic pentameter in mine. By hocopolitso in Guest post on April 28, 2013 .